We are thrilled to back for our third season, continuing to deliver our trademark Humour with Heart in the heart of Niagara! 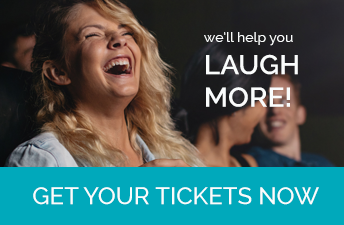 We will keep you laughing all summer long. Check out our amazing 2018 summer shows. Wrong For Each Other takes us on an emotional ride that examines the evolution of a marriage with humour and heart and vulnerability. Like a fine wine, Wrong For Each Other is Vintage Foster at his absolute best! Come Down From Up River explores family and forgiveness with a healthy dose of laughter sprinkled with tears. This latest Maritime saga from Norm Foster is guaranteed to delight! After taking in this newest comedy by Canada's most popular playwright, you’ll never look at a paint chip again without laughing…or cringing! This new World Premiere by Norm Foster is sure to leave you laughing long after the final bow!